Ganache is a catering firm featuring homemade sweet confections for elaborate affairs. 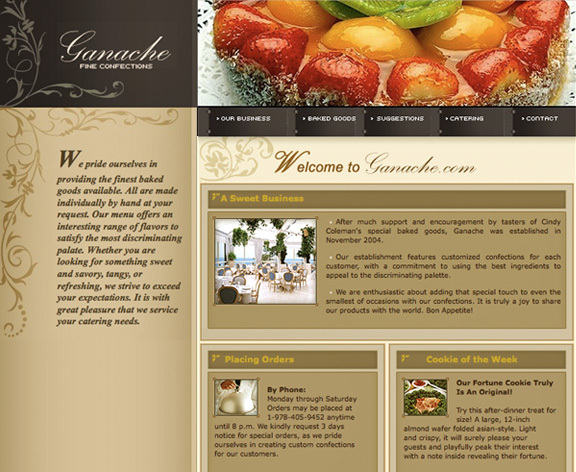 Ganache wanted a colorful, delicious looking web presence that reflected it's tasteful and fanciful creations. displays for special occasions that deserve that touch of elegance. Their eye-catching designs and lipsmacking desserts look almost too good to eat.